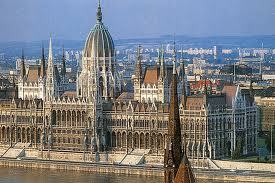 Central European University (CEU) is an English-language, graduate university located in Budapest, Hungary. The university is accredited in the United States and Hungary. Our students come from 100 countries and our faculty from more than 40. The Department of History offers students interdisciplinary and comparative perspectives on Central, Southeastern, and Eastern European as well as Ottoman and Middle Eastern history. The curriculum covers the main historiographical traditions from the early modern period to the present and introduces students to a range of scholarly topics from the social sciences and humanities, including sociology, economics, anthropology, art history, religion and philosophy. Specializations are available in Jewish studies and Religious studies. Graduates of the department find employment as researchers with governmental and non-governmental organizations, as academics at leading universities, and also as journalists. More information: Visit Official Website. • Comparative history of fascism and communism. The majority of CEU students receive internal or external financial aid. Various types of funding packages are available for Master’s degree students: CEU fellowships, tuition waivers, external scholarships, financial aid. Nearly 90% of the doctoral students receive a full CEU fellowship that covers all tuition fees and a generous living allowance for up to three years. Application must be submitted complete with proof of English proficiency. Detailed description of the general applications requirements: Visit Official Website. To apply, complete and submit CEU’s online application form: Visit Official Website. Demikianlah informasi mengenai Masters and PhD Scholarships in History at Central European University, Budapest semoga berguna bagi anda.